A would-be coalition is one MP short. 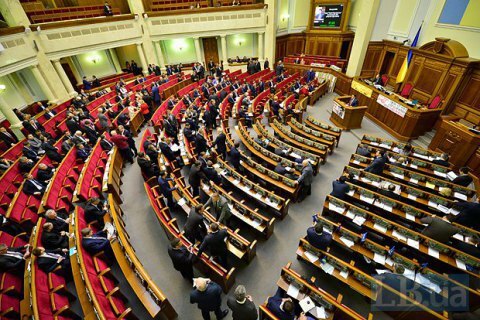 MPs Andriy Nemyrovskyy, Yuriy Bublyk and Serhiy Rudyk have been accepted into the president's Petro Poroshenko Bloc faction, RBC-Ukraine has said. The decision was formalized at the faction's meeting late on 11 April. Nemyrovskyy was elected to parliament on Self-Help's ticket (the Will party's quota), however he never entered its faction. Bublyk and Rudyk were elected in single-seat constituencies and later left the Freedom party, of which they were members. The propresidential faction now has 144 MPs, the prime minister's People's Front, 81. Thus, these two factions are missing one MP to form a coalition of two.